Product #722 | SKU 2220-010-110 | 0.0 (no ratings yet) Thanks for your rating! 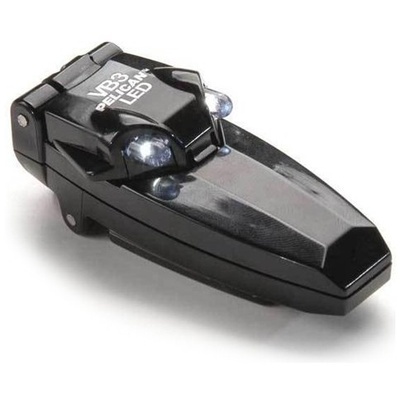 The 2220 has dual super bright white LEDs that may never need replacing and provide over 30 hours of run time. The light turns on when the head is flipped up. It also pivots to a full 180° for aiming the light where you need it. The built-in clip attaches to surfaces up to 1/2" thick. This is the perfect light for carrying in your camera bag. Dual 0.6W high intensity LED diode produces a white beam that's as bright as an incandescent light but provides many more hours of lamp life. Light turns on when the head is flipped up. UL Class I; Div 1; Listed 4S67/E184884 Class I, Div. 1 Gps.A,B,C,D, T6.